Rotating Disc Makes Knittng Easy And Fast. Varied Materials Such As Nylon, String & Beads Can Be Used. Full Instructions Included. 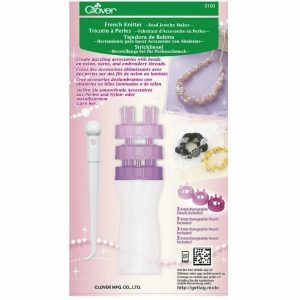 Create dazzling accessories with beads on nylon, yarns, and embroidery threads. 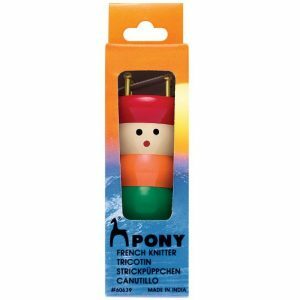 The Pony French Knitter is a basic wooden Knitting Doll, used to create a narrow tube of knitted yarn. 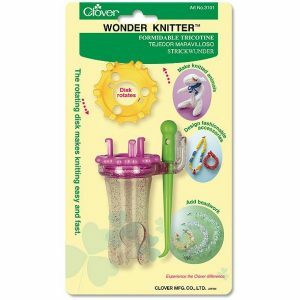 Sometimes referred to as Knitting Bees, French Knitters, Spool Knitters, Tomboy Knitters, or just simply Knitting Dolls. French knitting is a traditional way of teaching children the basic principles of knitting.